Getting Fair Park ready for this year's State Fair of Texas will take some extra work because of last week's hailstorm. Workers at Fair Park are cleaning up after crews found widespread damage. The state fair said hail busted the neon on the "midway" arch and entrance gates, as well as a number of the decorative bulbs that ring the coupon booths. Hail also shattered the skylights in a few warehouses and windshields on several city vehicles. 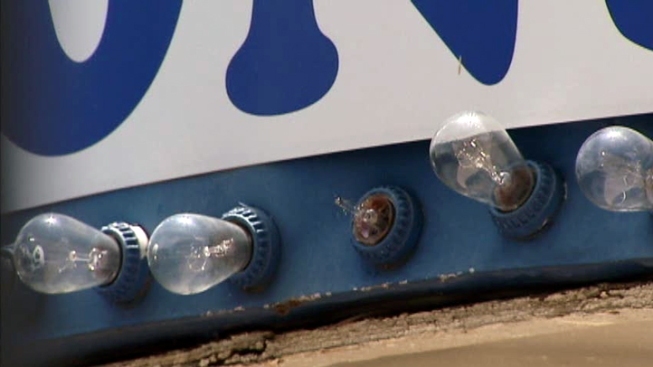 But a fair spokeswoman also said the neon on the sign above the entrance to the Cotton Bowl was not damaged. The State Fair of Texas is 99 days away. Storm cleanup is continuing in hard-hit parts of Dallas. Dozens of lawns in Swiss Avenue have contractor signs that show work is being done. Crews are almost finished with work on the roof of Shawn Hamilton's home. He didn't waste any time because his house is for sale. "I think the last hailstone just fell out of the sky and we had to call," he said. "We knew that it was going to be one of those things that, since we're selling our house, we had to get it done." A few blocks away, the iconic sign at the Lakewood Theatre still shows signs of damage, but crowds are still flocking there. The city has set up a temporary satellite office at the Lakewood Branch Library to help the approval process for repairs on historic homes. Residents say the office is helping to speed up the process. NBC 5's Omar Villafranca contributed to this report.